Ginetta Car Manuals PDF above the page. Ginetta Cars Ltd. Company was founded in 1958 by four Walklett brothers - Bob, Ivor, Travers and Douglas, who were extremely passionate about car racing. At that time there was a real war between the manufacturers of sports cars. Particularly hostile to Marcos, TVR and Lotus. Ginetta, founded by the brothers, naturally had to win this battle and become the first. Early Ginetta models were very peculiar - they used a chassis from Ford (Manuals PDF page). The very first car Ginetta G1 Hornet suffered an unenviable fate - it crashed during the first tests. Fame for Ginetta came in 1961, when at one of the showrooms were appreciated the model G2 and G3, focused not on the riders, but on lovers of sporty driving style. Today, Ginetta produces not only fully assembled cars, but also so-called "kit-cars" - sets for self-assembly of a sports car at home. 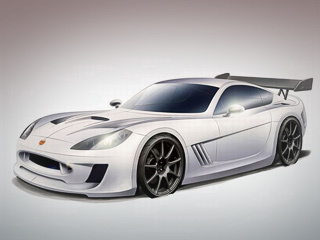 The company Ginetta is engaged in the production of sports cars, which are a copy of the stylistic solutions of the classic Lola and Lotus (PDF Manuals page)cars. After the retirement in 1989 of the Walkletts brothers, the company was sold to Sweden's international financial group, based in Sheffield under Martin Phaff. The production of models G20 and G33 was started. In the eighties, Ginetta returned to the car market with an updated model G4, now called the G27. Sports salons of models G26 to G31 used a 4-cylinder engine V6. This was extremely successful and served as an impetus for the construction of a new automobile plant. A car with a V8 engine was successfully launched.